This fantastic piece of sculpture is currently on exhibition at the British Museum. 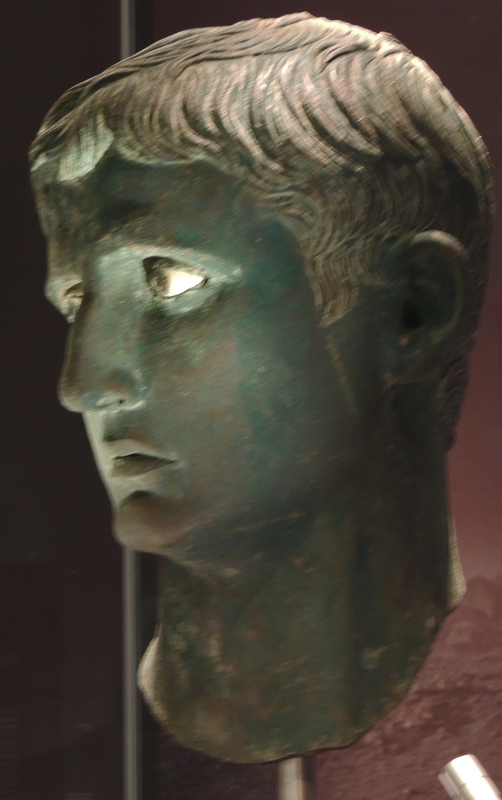 The Meroe head was originally part of a life sized statue of the Roman Emperor Augustus (reigned 27BC-14AD). It likely was made in Egypt (c26BC) for a town in Southern Egypt following Augustus’ earlier campaigns in that area. It has an amazing story because it was found, not in a Roman context, but buried in the ground at Meroe, the capital city of Kush, in what is now Sudan. It is recorded that shortly after Augustus became Emperor, King Teriteqas of Kush raided across the border into Roman held souther Egypt and that as part of the subsequent peace agreement between the two sides the Romans demanded the return of stolen statues. 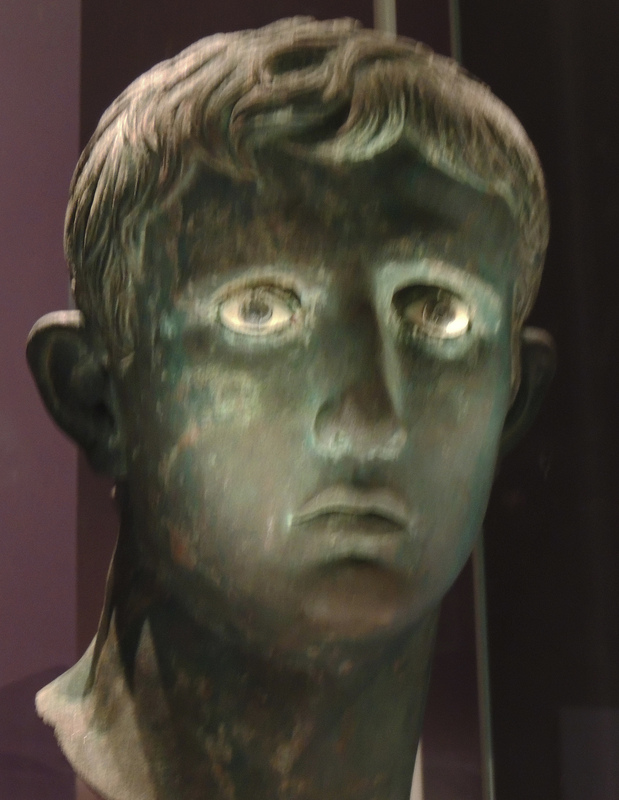 It seems that this decapitated head of Augustus never made it back. Instead it was ritually buried in the capital as a sign of the “victories” that Teriteqas had achieved over his Roman counter=part, perhaps as an offering to their gods in thanks for the victorious campaign. Also in the city of Meroe is a monument celebrating victories which includes a frieze with captured soldiers who could be wearing Roman uniforms. The head is remarkable to look at. It is made of bronze and its fantastic eyes are made from black and green glass paste set in polished limestone. It achieves an amazing penetrating stare which must has surely given the citizens of its home town the idea that the Emperor had his eyes on them at all times. This life like quality may have led it to be the reason why it was this item which was chosen as an offering to the gods.